Taking a stroll through Downtown Los Angeles and all of its cool and hip place it has to offer is exactly what Jessie and Brent had in mind for their engagement shoot. Going to all of their frequented and favorite places, Adrienne Gunde always does the perfect job capturing the sweet and tender moments between these two. Jessie and Brent met in college where they quickly became friends and fell in love, leading to a whirlwind romance and then finally their engagement. 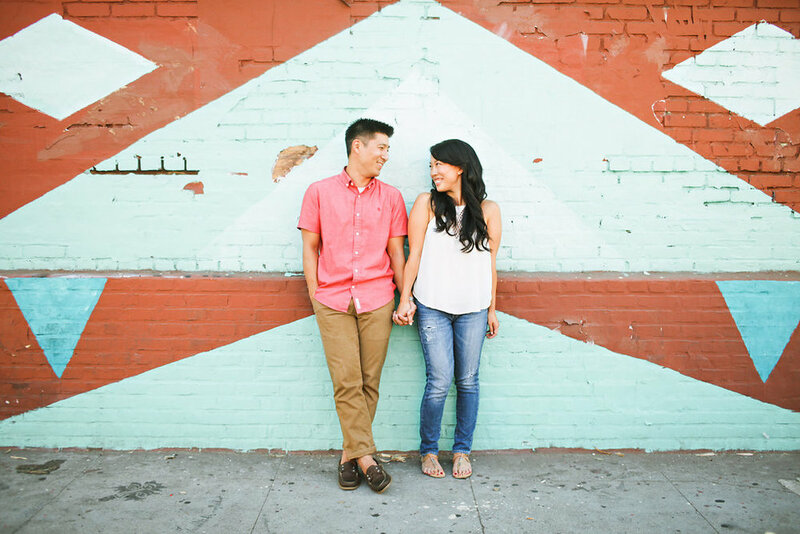 The two will be tying the knot in just a little less than a month in the heart of Downtown LA, at Café Pinot and we could not be more excited! Until then, enjoy the pretty images below from their engagement shoot!